Confused in matters of the heart? Let's use the Tarot to decode your love life. Esther has used a rapid-fire method of Tarot to give you insightful, efficient readings. 80WPM typist. Try Esther TODAY! For the last six years, Esther Neptune has been a professional psychic reader. 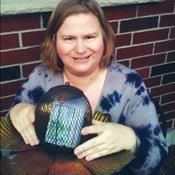 In April 2014, Esther joined KEEN.com to expand her services. Three years later, in April 2017, Esther left her former dayjob in healthcare to become a full-time psychic practitioner. Esther has not looked back since! Esther has walked down many difficult pathways in her own life's journey. She understands many different mind states, including depression, broken heartedness, and lack of life purpose. Esther has embarked on her own body/mind/spirit transformational journey, so that she can help YOU start yours today! Give her a call! Whether you are generally curious about where your life is headed (yes, Esther DOES do general readings!) or would like to delve into a specific issue that has your energy bogged down, Esther is the advisor for you! Esther has been a professional psychic reader for six years. She has been offering her services here at KEEN.com for five of those six. For a Tarot reading with Esther, all that is needed is your name, your question, and names of all parties involved. Esther has three decks in her possession ready to serve you! Please specify if you have a preference; by default Esther will read using the GALAXY TAROT electronic deck based on traditional Universal Waite artistry. Besides this "virtual" approach which saves her clients precious time while on phone or chat, and has been backed for accuracy by her angels and guides, Esther also has a hands-on Universal Waite deck. Esther also uses the beautiful Arthurian Tarot deck designed by Anna-Marie Ferguson (pictured in the flower orb on Esther's profile). The Arthurian Tarot features beautiful, artistic scenes on each card, and breaks the four suits of the Minor Arcana into Shields (Pentacles), Spears (Wands), Swords and Cups. If you prefer a more traditional Tarot read, please let Esther know when calling! Esther has done tens of thousands of readings in her six year professional career! She also has a wealth of life experiences that help her not to judge any situation. She also possesses a very open mind when determining the Divine's plan and solutions for your current dilemma(s) you may be dealing with. What are you waiting for? Call Esther NOW! Her entire life's calling has been in the healing arts. Your life will transform and change for the better! Ran out of funds, but thank you! 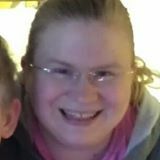 Esther is a very thorough and thoughtful reader and takes the time to relate to aspects of your situation. I think she's the bomb! And shes's accurate! Thank you for the reading! Will call again for updates! Love light and blessings to you! Absolutely terrible. No connection. Just nonsense. Keen is such a horrible site. No reader on here is truthful or talented. BTW...NEVER proposed and no daughter. Greetings and welcome! My mystical name is Esther Neptune. I am an expert in astrology with access to software tools and Tarot that can guide me to know and understand your life journey. When I first started giving readings professionally in 2013, I got to know several of my regular clients very well by looking at their astrological charts and planetary transits. However, when doing a 10-minute private consultation, it can be challenging to look ahead for the next 6 months and not miss important dates or details. The Tarot is also rooted in astrology, but was developed during Medieval times for the illiterate peasants so that they could predict the future. I must admit that I was skeptical that such a process could be used successfully (after all, isn't it simply a random luck of the draw?) After doing quite a few readings with Tarot, I've come to realize that God is with me in each and every reading to help give an interpretation. He guides the randomness of the cards as well as gives me the message to the client I am reading to. I view myself no differently than Joseph in the Old Testament - a man blessed by God having prophetic talents and being used for a greater purpose. 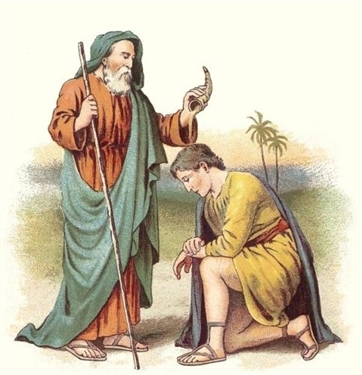 -The prophet Daniel was another important Biblical figure with many psychic gifts. "Then all the king's wise men came in, but they could not read the writing or tell the king what it meant. So King Belshazzar became even more terrified and his face grew more pale. His nobles were baffled. The queen, hearing the voices of the king and his nobles, came into the banquet hall. 'O King, live forever!' she said. 'Don't be alarmed! Don't look so pale! There is a man in your kingdom who has the spirit of the holy gods in him. In the time of your father he was found to have insight and intelligence and wisdom like that of the gods. 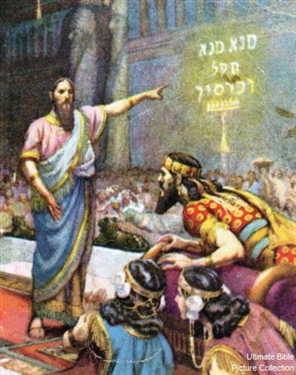 King Nebuchadnezzar your father--your father the king, I say --- appointed him CHIEF of the magicians, enchanters, diviners, and astrologers. This man Daniel, whom the king called Belteshazzar, was found to have a keen mind and knowledge and understanding, and also the ability to interpret dreams, explain riddles and solve difficult problems. Call for Daniel, and he will tell you what the writing means." 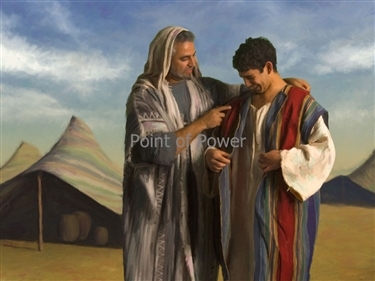 (from Daniel 5:8-12)--Note that Daniel was made CHIEF of these supposedly "condemned" practitioners of these arts. Daniel did not abolish the supposed arts. Rather, he practiced these arts in the light of the True God. and also giving private advice to individuals!!!! One last note: I honor all faith traditions and even those who are atheists or agnostics. I am a recovering addict and through going to 12-step meetings have heard many agnostics share! SHE IS THE BEST I GOT THE MOST WHAT I M LOOK FOR YALL SHOULD WORK WITH HER AND HAVE HER RATE GOES MORE THAN 5 I WOULD SAY THOUSAND STARS. Eneptune is efficient and fast in answering questions with great insights. I am so happy to have her read for me . email readings $14.99, ask 1 "scenario" (can include multiple questions), DOB for all parties involved helpful but not necessary...if you have the TIME of birth it gets even better! Astro chart readings $49.99: For this one I NEED not just your date of birth, but EXACT TIME OF BIRTH. I will be able to tell you details about love, money, finance in nxt 12mos. Esther Neptune has been a user of Keen since 2014. Getting Tarot Readers advice from Esther Neptune through www.keen.com is safe, secure and confidential.